ROAD TOWN, Tortola, VI - Governor of the Virgin Islands, Mr Augustus J. U. Jaspert is now breaking his silence on the Elmore Stoutt High School (ESHS) Wall Project—commissioned by Co-Leader of Government and Minister for Education and Culture Honourable Myron V. Walwyn (AL)—with regards to the way forward, following recommendations in the Auditor General’s (AG) Report. 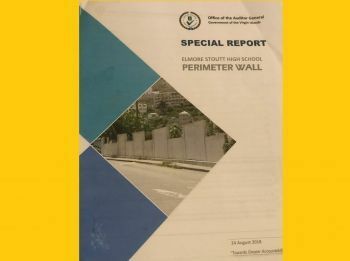 The bombshell Special Report by AG Ms Sonia M. Webster—leaked to the press—detailed mismanagement of funds, un-vetted contractors and no value for money in the $1.6M wall built by Hon Walwyn. “I have not made a statement on the Special Report until now as the correct procedure as per the Audit Act 2003 is that the Report be laid before the House of Assembly,” the Governor noted in his statement on Friday, December 14, 2018. 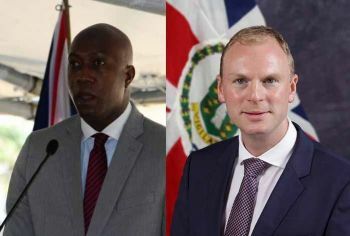 Governor Jaspert through the release from the Government Information Service lashed out at Hon Walwyn for the leak and said he was “most disappointed” that the Report was publicised in the way it was, while pointing out that those in the highest level of Government ought to set the standard. “I was most disappointed that the Report was publicised in this way. The people of the Virgin Islands should expect the highest standards of conduct of all those who serve them. Those at the highest level of Government set the standards for others,” he said. “Although the Report was disclosed to the public in violation of the procedure specified in the Audit Act, it would not of course have been appropriate for me to comment at that point on the Report itself, prior to its presentation at the House of Assembly,” the Governor said in relation to the leak. In an email from Governor Jaspert to Premier Smith, the Governor expressed his displeasure over what the Minister did and Dr Smith in an unannounced broadcast on a local radio station, stated that he does not support the Minister’s actions. “My predecessor had in 2017 sought advice as to whether the procedures for the procurement of goods and services as set out in the Protocols for Effective Financial Management, the Public Finance Management Act 2004 Act and the Public Finance Management Regulations 2005 had been correctly followed,” the Governor noted. 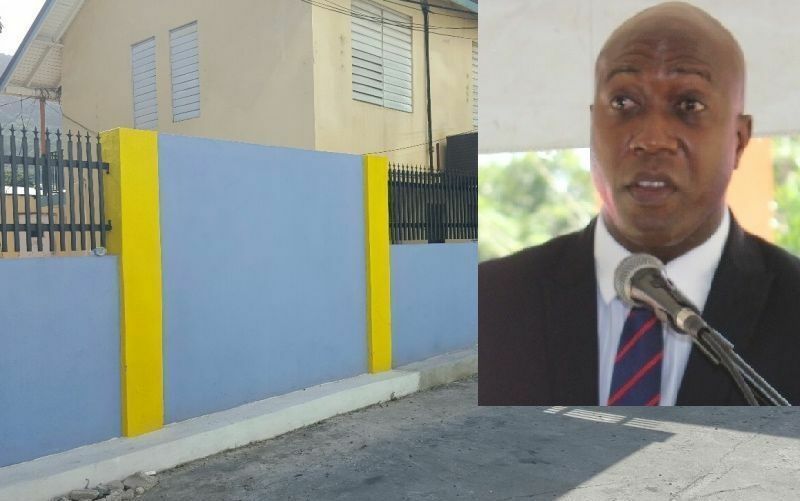 He said former Governor, John S. Duncan had further sought advice that if proper procedures had not been followed, what discrepancies and deviations from standard procedures occurred and what would be the significance. “I would also like to reiterate that the Auditor General is an independent and constitutionally appointed position whose work is guided by the Audit Act of 2003,” he said. He said the special report addresses the concerns and contains a number of detailed recommendations on the procurement regulations and procedures applied on the project and also to the accountability for the project while noting that he is committed to transparency and good governance in the Virgin Islands. “It is now important that due process is followed in dealing with the recommendations of the Report," the Governor said. 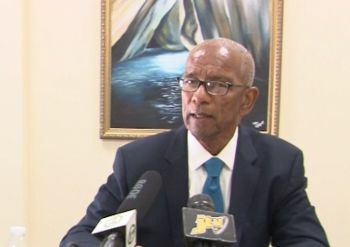 "To that end, these will now be taken forward with the appropriate Ministries and Agencies, including the Ministry of Finance and Deputy Governor’s Office and the Royal Virgin Islands Police Force. As the Report is now in the hands of these agencies, I will not comment further,” he noted. The Governor further reiterated that he supports all those involved in ensuring that any issues raised in the report are addressed in the appropriate manner. If the wall could talk, will the WALL tell ALL? Will the Wall-wyn or the Wall-lose? Am I smelling a rat somewhere. If the police is in possession of this report then it is safe to say that some form of criminal conduct was seen and deeper investigation into whether or not person will be held criminally liablenis also on the books. This is not sounding good for the honourable minister as he will have to account some way some how as to how these breaches could have taken place under his watch. Sad day in the world of BVI politics. NDP 2 has hit NDP 1 the first blow. This is a major embarrassment. You don't see the project manager got rewarded with the consultancy for the ESHS? If he is the adviser to the Minister for the construction jobs, then he would have had to sign off before payments are made to the individual contractors working on the wall. So what happened? lock all ah dem up. I don't care what party anybody in, it is time all the crap stop and they become accountable for what was entrusted to them. Now on to the Pier Park and the Airline....not necessarily in that order. Common sense is hard to find these days mehson.what should have actually happened first was to investigate the BVI airways (groundways) deal at 8 mill that's including the extension at the airport.arrest the premier then call election since he don't want to call it.bless up. When you got the job illegally, you should have thought about the consequences! Proof that contractors were real!!! Proof that contractors actually submitted a bid for the job! Proof that contractors hired were qualified for the job! And Proof that you paid them a full $50,000 and not just a mere $15,000 while $35,000 was pocketed! All because the hired contractor didn’t know how much the job was really worth! Young people who continue to take bribes be careful as in time the one that bribed you will start singing like a canary and trust me, you will be the ones sitting at ballo while he is out here living it up with his rude J-mistress which continues to interfere with the wife! Shame on you wall win! You are not a good example for young people in every aspect! There Virgin Islands need to develop a culture where the corrupt individual fears the incorruptible individual and not the other way around. so who going to jail now? Look out Bottom gutt I mean Bolsum Gutt! Governor we need an extension to Balsum Ghut Prison with air conditioning and carpet soon. It would be unfair to send these white collar career criminals to the same establishment as our nickle and dime ganga smoking citizens. So what about the peir park that was done for millions??? They spoke about it for awhile and they stopped, it wasnt investigated to this extent.... Myron you dont worry bout them they will be fine, at the end of the day we will have victory. Everything is just for a time..... VIP did their duty noone made noise about it or they let it slide under the bus.... the back then education minister gave all his family scholarships where are the paper trails???? When you read some of these comments you can feel the energy of hate and bitterness some people have for others . Waiting like vipers in the background to devour, waiting like the KKK to lynch and strike out, waiting like a tiger to tear others to pieces . What a Christian community with churches more than supermarkets ! !